#FCYV is for any young person 12-25 years old who would like to get involved with #FreshCreations helping us organise creative events all over West Dunbartonshire. 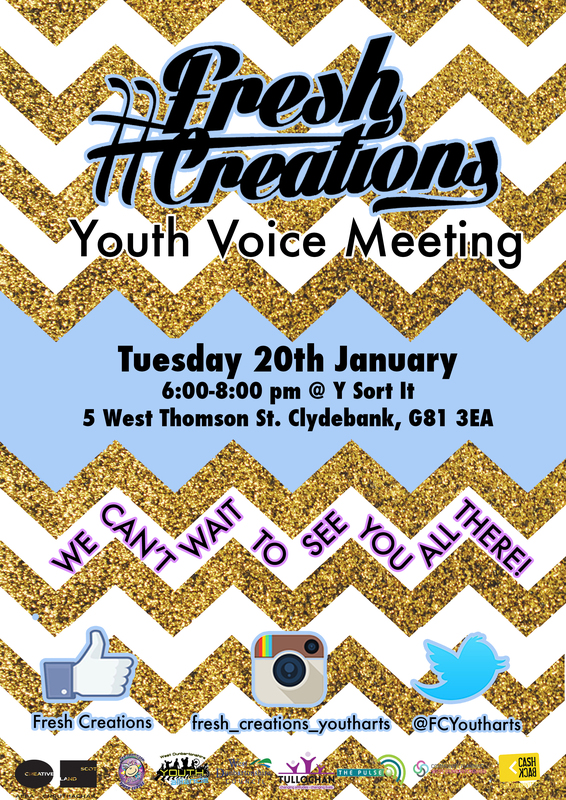 Members of the Youth Voice will attend meetings and discuss how to make #FreshCreations reach its full potential. One of the main actions of the Youth Voice is to come up with ideas for future #FreshCreations classes. Our aim is to have the young people of West Dunbartonshire choose their own art provision in the area. For any inquiries please get in touch at info@fresh-creation.co.uk or call 0141 941 3308.